Alamo Rent A Car provides a wide selection of vehicles for personal car rental needs at locations in more than 42 countries worldwide. Car rental options range from economy and compact cars to convertibles, SUVs, luxury cars, minivans, pickup trucks, cargo vans, 15 passenger vans, and hybrids. Alamo offers exceptional rates on a wide selection of rental cars. 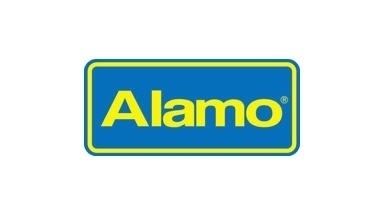 Alamo.com offers internet-only car rental exclusives, daily, weekly, weekend and one-way rental car specials. Planning and reserving a rental car for your vacation couldn't be easier.. Auto Rental,Car Rental,Van Rental,Truck Rental,SUV Rental,Luxury Car Rental,Convertible Rental,Hybrid Rental,Weekly Rental,Weekend Rental,One-Way Rental,Long Term Rental,Last Minute Specials,Hot Deals,Alamo Insiders. Offers a range of cars including SUVs, convertibles and minivans since 1947; makes include Buick, Chevrolet and Pontiac.